We all know know that Moms often seem to possess a sort of superpower that propels them to achieve the unimaginable. From raising kids and taking care of the home to still making enough time to work, there’s no denying that us moms are special. Choosing the best gifts for tired moms can be difficult. I suppose its because they don’t sell a good night’s sleep or some “me time” on Amazon. That’s why I have put together this helpful list of ideal gifts which target us stressed out, overworked, and exhausted mommies who are barely hanging on a thread. The gifts on this list are geared towards pampering and making life a lot easier for the mom who runs on low sleep and will help her feel more relaxed and less sleep deprived. Wear it! See it! Rock it! Created by Psychotherapist Emily Roberts, aka The Guidance Girl, Rock Your Worth is a collection of inspirational jewelry created with natural crystals and charged with positive energy, thus allowing you to break-free from negative thinking patterns along with manifesting unstoppable confidence within yourself. This particular combination of crystals, Tiger Eye and Amethyst are geared toward removing distractions and increasing your will power by giving you the motivation and ambition to become unstoppable. This is a thoughtful gift to give any metaphysical type of mother who has become so sleep deprived that she is sluggish, lethargic and too unmotivated to complete the household chores or run errands. When your tired mom friend wears this on a daily basis, it will shift her mindset to more powerful, positive thoughts which will translate to getting things accomplished without feeling too weary to do so. Treat your tired mom friend to a true soak in the tub with Soakii bath salts. Ooo wee do I love this stuff! An epsom salt bath is known to be a natural remedy for improving circulation, relieves muscle aches, cleanses pores, flushes out toxins as well as alleviates insomnia, anxiety and stress. Everything a tired mom feels / goes through on a daily basis can be literally washed away, after the kids bedtime at the end of the day, just a cup of this wonderful stuff goes a long way. Being a mom means being on your feet all the time. Mom feet take incredible amount of punishment throughout the day from running around and never getting a moment to sit down. You can help your tired mom friend find relief from the pain in her feet with this electric, warming Nekteck Foot Massager that has 6 massage heads with 18 rotating massager nodes. This is the #1 selling electric foot massager on the market. It features a heating function that can be turned on or off. It also has an adjustable height feature and can be set to 3 different levels depending on preference. Dark circle anti-wrinkle eye patch for tired mom eyes! I have already talked about how having children means losing your beauty sleep which results in looking more tired, especially around the eyes. This gift takes the form of an eye mask made from black pearl. It might look like these pads are dipped in dirt but it is actually made from the extract of black pearl. Pearl extract is known to relieve fine wrinkles, dark circles, dryness and repair fatigued skin around the eyes. Your tired mom friend can leave these on as she goes to sleep and wake up with a brighter more wakeful appearance. Sometimes a tired mom just needs a boost to help her feel lovely again and that is exactly what these little fancy eye patches are going to do. This chair swing is like a mini hammock. It is the number #4 top selling hammock at this time. This gift is perfect because it’s comfortable and it fits perfectly in any small area that you have and it is also easy to hang up. Since moms can’t really fall asleep on the job, this is a relaxing nook that will keep mom reclined yet still sitting upright so she doesn’t pass out all the way. Install it in the back porch to make the most of yard and spending time outside. Mom can sit in it while the kids play or she can nurse baby inside since its cozy enough to do so. Help Stop Baby From Crying with Baby Shusher — The Sleep Miracle! Can you just imagine gifting your tired mom friend with this and then the look on her face when she turns it on and her baby calms down instantly. Pure relief & happiness! Sometimes that is just what mom needs to be able to chill out herself. 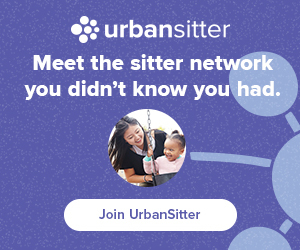 Meet the sitter network you didn’t know you had. Join UrbanSitter and find trusted local sitters for your mom friend who needs time to herself. One of the best things you can do for a mom is allow her some time to herself. Hire a trusted siter from UrbanSitter to come over and take care of the kids while Mom goes to get her nails or hair done. UrbanSitter lets you find and book babysitters and nannies of people you know and trust. Unlike conventional babysitter or nanny agencies, UrbanSitter connects you to babysitter reviews that are written by parents who you know and trust. With UrbanSitter you are able to book a sitter in your area and on demand. Help your tired mom friend get some much needed me time with a trusted babysitter from UrbanSitter. If you are trying to find a classy gift that is going to last a long time then you might want to consider this lovely rocking chair and ottoman duo rated #1 seller in Nursery Glider & Ottoman Sets. A tired mom is going to appreciate having a comfy place to sit and nurse baby. As baby grows into a toddler, this will be the place that mom reads their bedtime story too. Every nursery needs a glider and if you should be the person to gift this to a tired new mom, that would be extra special. What is this contraption?! I am going to tell you right now. This magical device right here is the #1 seller in high frequency facial machines, which is a machine meant to reverse the signs of aging / acne / hair loss. Because lets face it, one of the things that happens when you have children is you loose your beauty rest. Since moms have a tendency for living on the bare minimum of sleep, it can take its toll on tired skin and eyes. The NuDerma Skin Wand sets to eliminate signs of aging by sending small blips of electrical current to the skin. Essentially NuDerma produces 10 watts of power at a frequency of 60hz waves which when it comes down to it is a small painless amount of electricity. This little charge jolts and wakes up the cells inside sagging skin, boosting circulation and collagen production, causing the aging process to slow down, then halt and then finally reverse into firmer younger skin. The reviews on this product are phenomenal with many people showing before and after photos of their skin from using this product. I remember when my son was a newborn one of the things that kept me up all night with anxiety was the fear of S.I.D.S. I would constantly check on my baby, and poke him, inadvertently disturbing and waking him up. When I finally purchased a baby breathing monitor and set it up with my Iphone, I was able to be at peace. Drool bibs with built in teethers keeps baby’s mouth clean and mom stress free! Another reason why moms are so tired is due to all those sleepless nights caused by the teething stage! Teething not only affects baby, it is very hard for a mom to go through and witness your baby suffering because you can’t give your baby pain medication. The only relief you can provide are stuff for baby to gnaw on. This company Bazzle Baby makes adorable, bandana type bibs equipped with a built in teether so baby has something handy to chew on all the time. When my son Oliver was an infant, my mother bought him a few of these bibs and I found them to be really practical opposed to traditional teething toys which get dirty baby drops it on the floor, picks it up again and puts it back in their mouth. Can you just imagine all the germs that are on crawling on teething toys that lay around in a playroom for baby to pick up and drop again? Since a teething bib is always around baby’s neck, it’s not possible for it to become filthy from falling on the ground and being picked up again. They also capture drool and are super stylish. These are really an ideal gift for a busy mom who is always toting teething rings inside plastic bags inside her diaper bag. They also make teething mits which baby wears on their hand and is able to chew. And they also make teething necklaces for mom, which basically is a stylish necklace created with the intention to be chewable for baby since mom carries baby all the time. If baby is settled more quickly because of teething beads, or a teething mit or teething bib, then mom gets back to being able to rest! Win-win situation right here. Brew café quality coffee at home! This espresso coffee making machine is the ideal gift for the mom who lives on coffee and has it running through her veins to keep the day going. Let’s face it, caffeine is the elixir of life to sleep deprived moms who have to run around doing errands or working all day long. A Barista Express Coffee Machine delivers a fresh, cafe quality espresso quickly to a tired mom in need of a real strong pick up. This makes it very convenient for moms who are rushing out of the house to get things done and also saves a trip ( as well as $5 a day ) to Starbucks. Ultimately saves money from not spending it at the cafe. It is very elegant looking and would amazing in any modern kitchen. 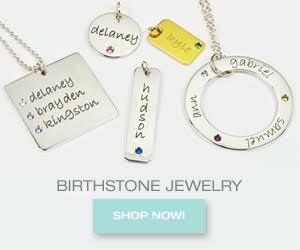 Mother’s jewelry is an fashionable way to show pride for ones family, without saying a word. A classy piece of jewelry, mother’s jewelry shows the world how much her family means to the lady who wears the piece of jewelry. This is a very loving and thoughtful gift to give to your mom friend who is very tired all the time because she has a full household and as such, carries a full schedule making sure everyone’s needs are taken care of. Design a unique piece of jewelry she’ll be proud to wear every day. It is really important as a mom to take advantage of every opportunity to rest when possible, like while baby is napping. To be able to sleep we need melatonin, which is produced only when the environment is dark. If there is a lot of light, which prevents the production of melatonin, you cannot really get good sleep. Therefore, an eye mask is the perfect solution to help increase melatonin levels and give high-quality sleep. This eye mask is made of 100% organic, cotton and effectively blocks all light coming from the nose area so relaxing is much more possible to do. Any tired moms will appreciate having a light-weight, breathable and effective eye mask to help them sleep better. A scented candle is a great way to relax and unwind, which makes this an excellent gift to give any mom. Burning a candle allows moments of stillness in the midst of a chaotic household. These Chesapeake candles are the #1 best selling scented candle on the market and come in many variations / sets. This set in particular contains two medium jar candles made from all natural soy wax and burn appropriately 50 hours each. One candle is named Serenity & Calm which is lavender thyme scented while the other one is named Peace & Tranquility and is cashmere jasmine scented. These two very fragrant candles are polite gift to give any stressed out or tired mom as they are not “too personal” of a gift and they also will accent any home. If you are already working on low energy reserves from lack of sleep, doing housework can seem like an overwhelming task. Even keeping up with daily dust and dirt can slow you down from where your attention really needs to be. This space-age robot vacuum cleaner helps a tired mom check vacuuming and sweeping the floor off her to-do list. She doesn’t even have to be at home! Since the iRobot is connected to an app on your phone, you can either schedule cleaning throughout the day or simply start it from your phone by pressing “clean”. When this robot vacuum goes to work it navigates throughout the entire house in each and every corner, covering hardwood floors as well as the carpet. This robot is able to seamlessly travel over all kinds of thresholds, underneath furniture and around clutter to make sure every corner of house is clean. It also can detect and avoid the stairs. It is currently the #2 best selling robot vacuum on the market. As a mom who runs on just a little sleep, you want to be comfortable in what you wear but still look cute. LazyPants is a brand of clothing meant to get the best of both worlds. Look casual but active and be comfortable yet cute while wearing your coziest sweats out and about. In case it’s to and from the gym, out for a Sunday brunch or for a morning run to the coffee shop, this is a very stylish way to be a sleepy mom but not look like you literally rolled out of bed – no one wants to come out the house like that! I absolutely love this brand. LazyPants is a cozy, relaxed, yet stylish line of clothing spotted being worn by several celebrities, like the Kardashians who rock this look from airport arrivals to outings in Beverly Hills. Jennfer Lopez was seen wearing the Relaxed Joggers, Hailey Baldwin, Vanessa Hudgens and Alessandra Ambrosio, have all been seen wearing the LazyPants brand and making it look so cool. Any hip, young mom who doesn’t have the luxury of a full nights sleep will really appreciate having a couple pairs of LazyPants relaxed joggers to do her errands in. A tired moms best friend—Echo hears you from any direction—even while music is playing. Everything is voice activated so mom can speak whatever commands as she walks by. Any mom would be thrilled getting one of these as a present so its a very thoughtful gesture and probably the most practical of them all. We know that moms can suffer from dry skin due to doing chores, lack of sleep and spending her money on her children instead of buying herself some nice lotion. I know that I stopped buying makeup and perfume when I first became a mother because I wanted to spend everything I had on my baby. I can also attest that being a mom with little rest prevents you from being able to take care of your own needs sometimes. A very attentive gift you can give a tired mommy is a treat to pamper her skin. 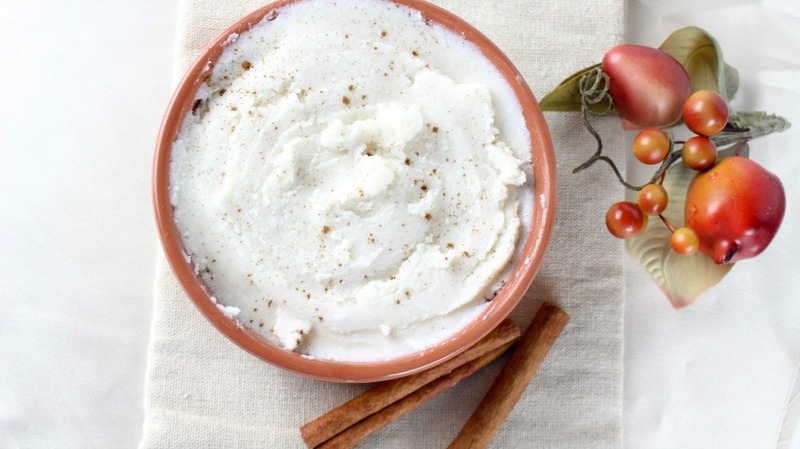 Homemade vanilla cinnamon body butter smells delicious and feels incredible on the skin. It is easy to make and lasts a long time. 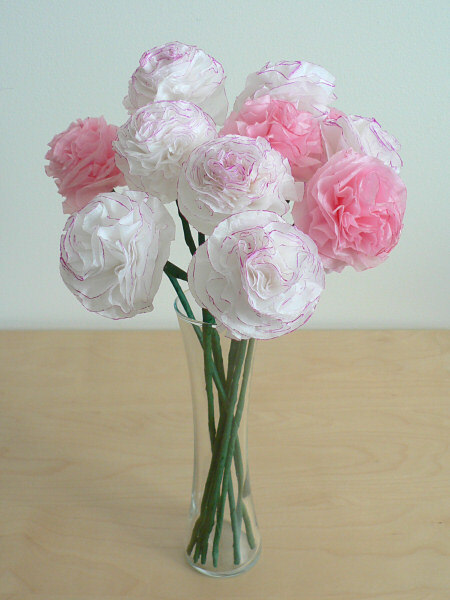 Tissue Paper Carnations are simple and inexpensive to make. Easy to make, looks lovely and can last a long time, these are a very thoughtful hand made gift to give. This DIY tutorial will help you to make a bouquet of carnations from tissue paper. Even if you think you are not crafty enough to make these, trust me you can make these. If you aren’t aware what an infinity scarf is, basically it’s just one giant loop of fabric sorta like a necklace, also called a circle scarf. Tomato / to-mah-toe. A lot of moms are fans of scarfs. Why? Because they are warm, cosy and flatter you no matter what body type or outfit you might be wearing. Scarves carry the ability to conceal yourself if you don’t want to be seen as well as keep you warm when its super windy. This tutorial teaches you how to make a infinity scarf even if you are bad at sewing and making clothes. All you need is two pieces of fabric, they don’t have to match or be the same type of material, in fact it’s better if they clash so as to make an interesting piece. Martha Stewart at MarthaStewart.com has a video tutorial on how to make your very own lavender sachets. There is always a drawer or closet that can use the lovely scent of lavender. This is a authentic and thoughtful gift that gives immediate pleasure to any stressed out mom. Granola bars are a very healthy, yummy snack to have on hand. Especially for a mom who has to run around all day, when you have one of these in your bag you can’t go wrong! There are so many varieties at the store, and for the most part, ones that made at the store and packaged come with lots of preservatives and additives to make them last on the shelf longer. So in the long run they aren’t as healthy as they would be if they were home made! That is why it is much more healthier and easier to make these granola bars in particular because they require only 4 ingredients. It is optional if you want to add other ingredients which enhance the granola bar obviously but it’s up to you if you want to keep things simple. Nothing wrong with that. You can wrap them nicely, individually in plastic wrap and arrange them in a small box or basket for your tired mom friend. A healthy snack like this packed with nutrients will give her that boost of energy and hold her over until dinner time. All moms love granola bars.